The first trailer has dropped at Comic-Con naturally, and it features the quick-cutting style we've come to associate with Ritchie's work. Think the way he was able to turn Sherlock Holmes into a fast-paced action flick and that's what he appears to be doing with Arthur and his Knights of the Roundtable. Also starring Astrid Berges-Frisbey, Djimon Hounsou, Eric Bana, Jude Law, Aidan Gillen, Annabelle Wallis, and David Beckham (!!! 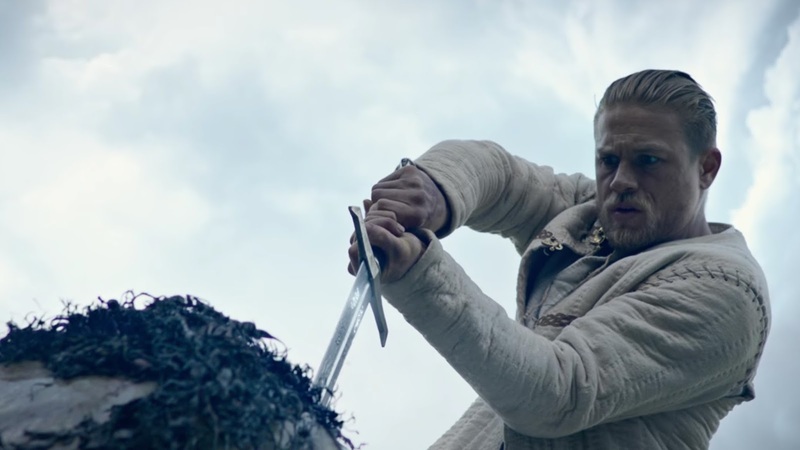 ), King Arthur: Legend of the Sword opens March 24th 2017.